As portrayed in the film Lost in Translation, Japan is the city for the lost and hopeless. The movie follows the lazy days of Charlotte as she tags along with her husband who works as a photographer. She meets Bob, an ageing and relatively popular actor visiting Japan for a few commercial shoots. The two form an adorable and carefree bond as they run around the colourful streets of Japan. 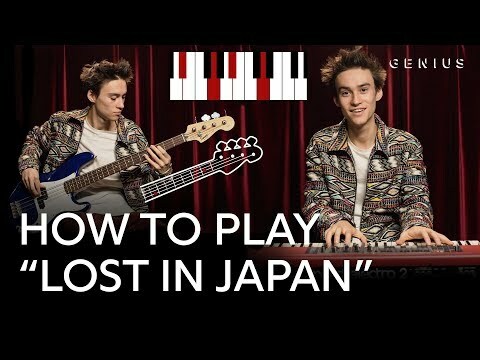 If you are looking to go on the same journey as these two, here’s how you can get lost and maybe find yourself in Japan. Both Charlotte and Bob stayed at a really fancy hotel with a really fancy bar, swimming pool and view of the city. You can also do the same and bask in the luxury of Japanese hotels, or if you’d rather spend in other things, consider exploring house rental. Sumitomo Realty & Development Co., Ltd. notes that Japan has several homes up for rent, which makes exploring and getting lost even more enjoyable. Bob endorses a famous whiskey brand in the movie, so you can go hunting for that or try the different Japanese whiskey brands. Meet new people, discover new artists and bask in your aloneness as you go around the city, one bar at a time. If you’re not the type to be drinking whiskey every night, maybe try what Charlotte did while her husband was away. Buy a local map and make a day of temple hopping. Japan is popular for its many stunning temples. Share a peaceful moment with a stranger or simply spend time with yourself going around the beautiful shrines. READ Between Manufactured and Modular Homes - Which Is Better? Lost in Translation is often decried as a film not really about anything. Nothing happens. They’re just both two people who have no idea what they’re doing and what they will do next. Should you find yourself in this similar crossroad, maybe getting even more lost in a strange place could help you find your way back, or at least make you feel a little less lost.